Believe me. I know you have a hard job. Teaching special education is something that not everyone can do. It takes love, dedication, and compassion to be a special education teacher. A desire to never give up on any student, no matter what. But unfortunately, many people don’t understand just how vital your position is. How crucial you are to the inner workings of a school, and likely, you are not compensated as the amazing angel that you are. you are an angel to your students. I can’t pay the bills. I have no money for food. Why, if my job is so important, am I not paid enough to survive? You are certainly not alone! I was in the same position. I have 3 young daughters who wanted to be in EVERY sport and eat steak for dinner every night. I spent my days defending my profession and I spent many nights wondering if I would ever be able to take my children on a vacation like their “rich” friends. Bills were piling up and before I knew it, I was resenting my job and dreading the pitiful paycheck every other week. I know so many special educators that love their job, but hate the paycheck. It just doesn’t seem fair that you have to struggle when the work you do is so precious. I started a blog a few years ago to help out special educators get the training they needed to be successful in the classroom. And so far, the positive responses have been overwhelming! Things have been wonderful! Because of my blog, I have been lucky enough to supplement my income with selling online professional development courses to special educators. And so, starting a blog and selling courses online only helps ME. And what I want is to help YOU! I don’t want you to feel resentful of your lackluster paycheck and ultimately, your job. I don’t want to see another teacher get saddened when they see a friend on Facebook on yet another vacation. I want you to have that freedom as well! An affiliate is someone who works as an independent contractor for a larger business. In your case, I want to give you the opportunity to preview my courses, use them in your classroom and then be able to sell them for a commission. Every few months a new course will be provided to you, for free, so you can try new things in your classroom and share them with the rest of the world! You are clearly a dedicated and compassionate teacher, but you are struggling to get your bills paid. I want to give you a chance to experience the freedom from anxiety, worry and paycheck frustration. I am formally inviting you to join me in experiencing a life knowing that you have enough money to pay the bills. Knowing that your kids will be well fed, and that you CAN afford to take that vacation. I am inviting you to a better life. A life that you deserve. Becoming an affiliate is easy as pie. For a one-time fee of only $10 you get some amazing benefits! I know you need that money, like, yesterday. I am offering you a secure and individualized site to sell my courses. And with 40% commission, you can stop selling those shakes, oils, or whatever it is, and get into something you really love! Need help? Got a question? I'm here for you the whole way! Once you become an affiliate, you will be granted access to the exclusive FB group just for affiliates. I’ll be with you the whole time. You will never have to worry about being lost again! Once you become an affiliate, you are entitled FREE access to my collection of online courses. You are able to check them out and use them for your classroom. Each course has a PD cert at completion. Win! My main goal is for YOU to SUCCEED. I will be offering extra trainings and help for all affiliates. I don’t want you to get bored, so I am offering new classes every few months, so you have something fresh to sell. Oh yeah! You are part of the team as soon as you join! Once signed up to become an affiliate, you will immediately be sent a link to the Facebook Community! You will have access to other amazing educators such as yourself where you can share ideas and resources, answer questions, and provide encouragement for each other! Are you ready for the life you deserve? The freedom and confidence of enough money to pay the bills? 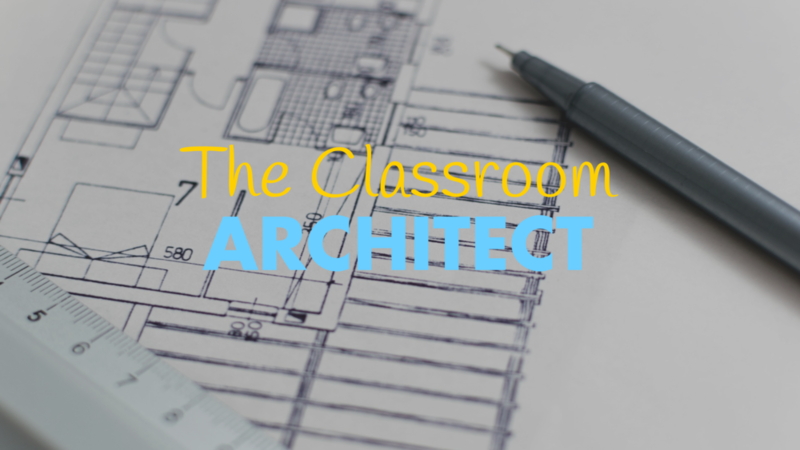 The Classroom Architect is the foundation for the new teacher. Setting up a classroom is as much an art form as it is essential. The Classroom Architect offers steps and techniques for setting up a new special education classroom by categories and sections that are functional and promote student independence. Parent Communication is crucial in special education, albeit, probably one of the toughest parts of the job. 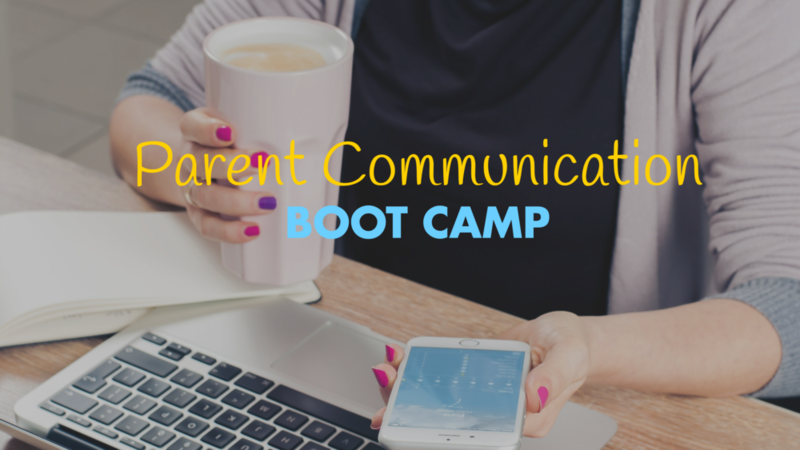 Parent Communication Boot Camp will teach the tips and strategies to increase positive communication between home and school. Paraprofessionals are integral to the workings of a special education classroom. The Paraprofessional Manual is a starting point for special educators to open the communication with expectations and job descriptions. -You will receive a welcome email and packet describing everything you need to know about being an affiliate. -You will have immediate access to the exclusive Facebook community where you can chat, share, and collaborate with other like-minded affiliates. Hi! i'm Trisha! I have over 15 years working with special education students. I hold a master's degree in education and 3 teaching certifications. I have rolled out school-wide PBIS programs and have been a guest speaker at national conferences around the United States. But, not too long ago, I was just like you. I was living paycheck to paycheck and trying to make ends meet. I didn’t think it was fair that educators held such an important position, but weren’t paid enough. I started a blog and began selling online courses as a way to supplement my income. And boy, were the responses amazing! I could offer teachers the training that they wanted, and put a few extra bucks in my bank account. It was a win-win! And now, I want to do that for you! After starting my blog, I came across thousands of teachers that were working 2,3 and even 4+ jobs just to try and put food on the table. They were tutoring after school, bartending until late at night, or begging their friends and family to host parties at their house for a very small commission. That is not how I want you to live. I want you to have more time with friends and family. more money in the bank account. and more time for life. So here’s what I’m offering. I’ll continue to do my thing, but I’m giving you a chance to get in. A chance to make a larger commission on things that you know others need. A chance to live better. If you are tired of crying every time you look at your bank statement, come join me. You won’t be disappointed. I promise. For a one-time fee of $10, you can become an affiliate for trishakatkin.com. By becoming an affiliate you are granted access to my collection of paid courses. You can check them out, use them for your classroom, and then sell them to others using your specific individualized link. + What do I make? You can make as much as you want! You will bring in 40% commission on all sales made through your link. There is no limit, so reach for the stars! The cost is simple. A $10 one-time fee and you can begin selling my courses right away. + Okay, but what's the catch? There's no catch. Only potential. You have the ability to take this as far as you want. + What happens when I buy now? When you buy now, you will receive a welcome email from me with instructions on where to start and how to join the FB community. You will be able to access the inital affiliate trainings. Once the trainings have been completed, you will be granted access to my collection of courses. + A one-time fee? And I access all of your courses? That's insane! Well, maybe. I want to be able to give back to the dedicated teachers out there struggling to make it. There will be a limit to the number of affiliates so that you are not competing for sales. I only as that you are mindful and exercise morality with the access to my courses. You will also be expected to be active in terms of sales. + What does it mean "to be active?" To continue to be eligible (and to be fair to those on the waiting list) it will be expected that you sell at least 3 courses over a 3 month period. Failure to do so, may suspend your affiliate priveledges. + What if I'm suspended? Attempts to contact you will be made in advance before any account is suspended. Should your account be suspended, you may be placed on the waiting list to become an affiliate at a later time.